Feolin Ferry is the embarkation point on the Isle of Jura for the 5 minute car ferry to Port Askaig on the island of Islay. 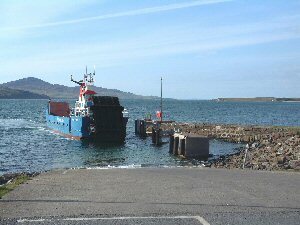 The ferry is operated by the Argyll and Bute Council Ferries (ABF). An older, unused pier exists immediately to the north of the slipway.